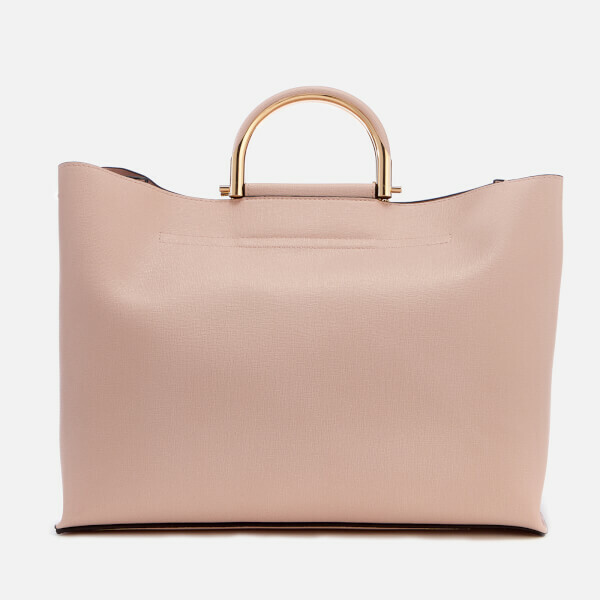 Blush pink shopper bag from Dune London with semi-circular leather-trimmed metal grab handles. 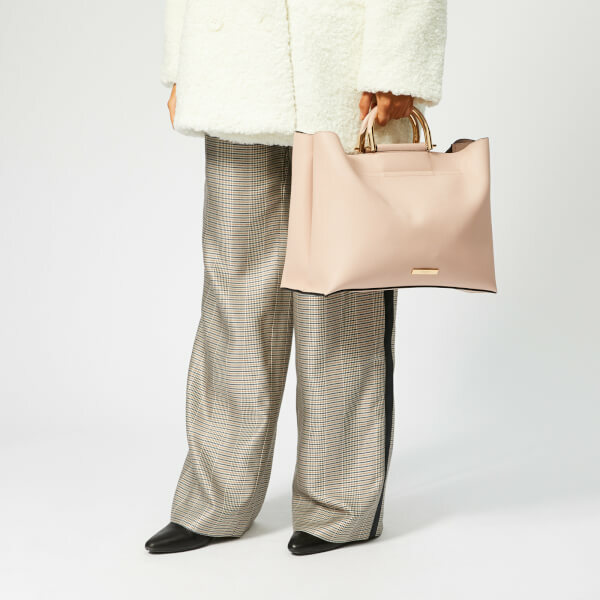 Crafted from textured synthetic leather, the rectangular ‘Dare’ tote bag features a zip closure that opens to reveal its spacious, unlined interior. 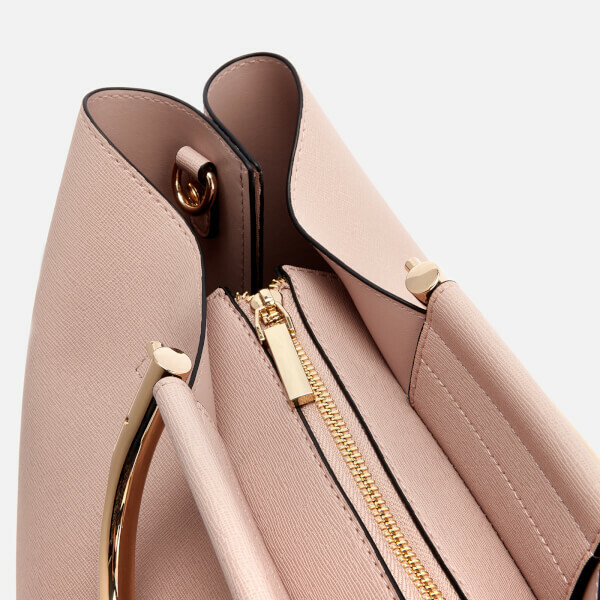 An adjustable, removable strap offers versatile styling options. 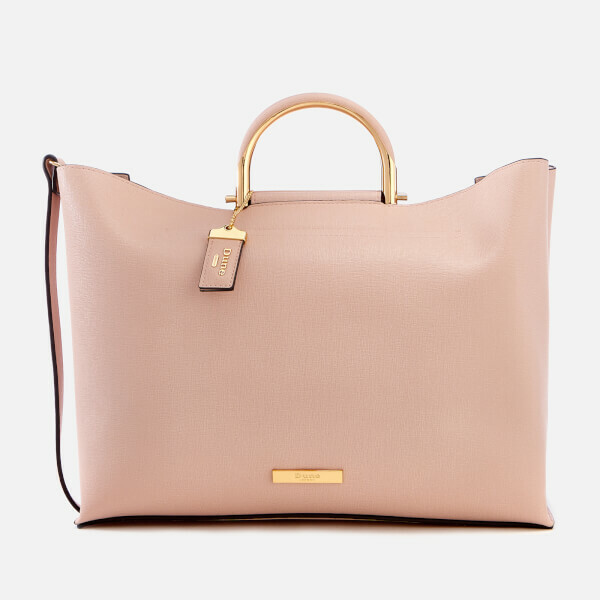 Polished gold-tone hardware throughout including an appliqué logo plaque at the front and a branded luggage tag. Protective dust bag provided. Dimensions: H: 27cm x W: 35cm x D: 14.5cm. Handle Drop: 7cm. Strap Drop: 50cm.